Climb New Heights LLC. is your new custom vinyl banner headquarters. 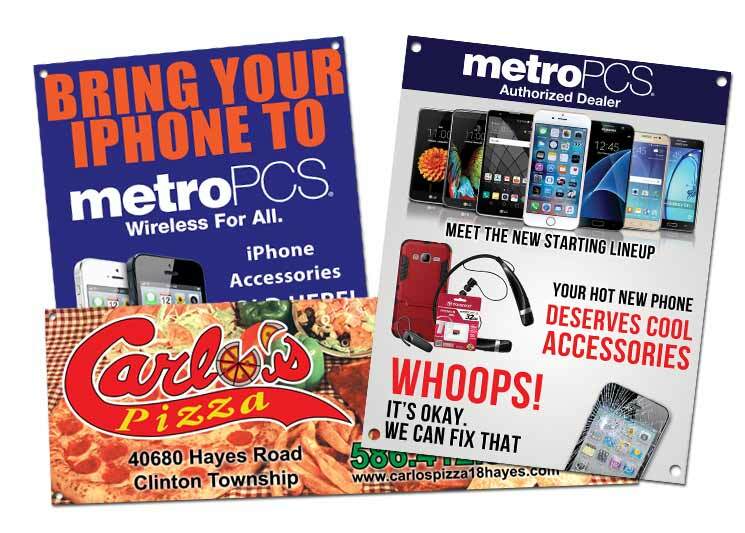 We offer full color vinyl banners printed on 13-18 oz vinyl, with welded edges and your choice of grommets, pole pockets or rope. Our banners are rated for 3+ years outdoors! Custom Vinyl Banners For Every Occasion! Whatever You Need Your Custom Banner For…We’re On Board! Our vinyl banner printing services will help you get the word out about upcoming specials and important info. We can have your banner available the next business day after you confirm our design! Take advantage of our custom vinyl banner printing services to make your home or garage look awesome! Whether it’s your man-cave, your bedroom or your home office we have all the tools to help make your space your own!